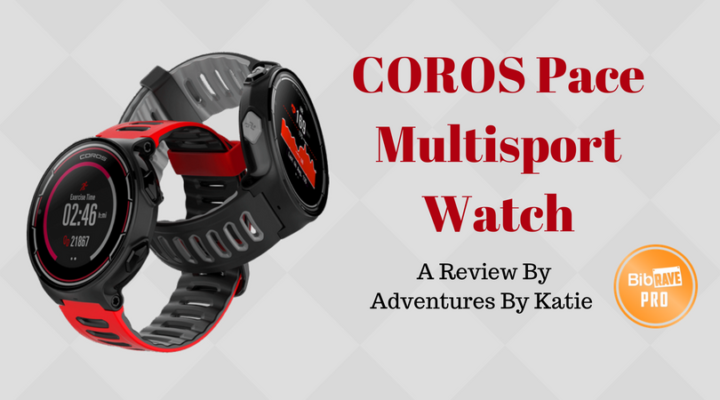 Disclaimer: I received a COROS Pace Multisport Watch to review as part of being a BibRave Pro. 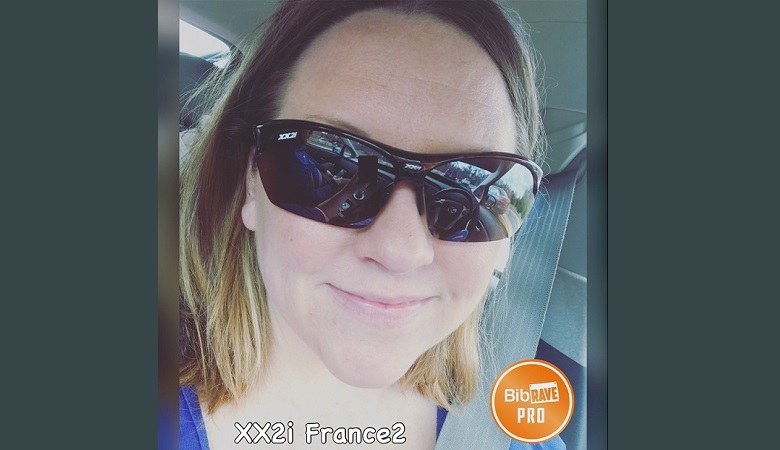 Learn more about becoming a BibRave Pro(ambassador), and check out BibRave.com to review find and write race reviews! 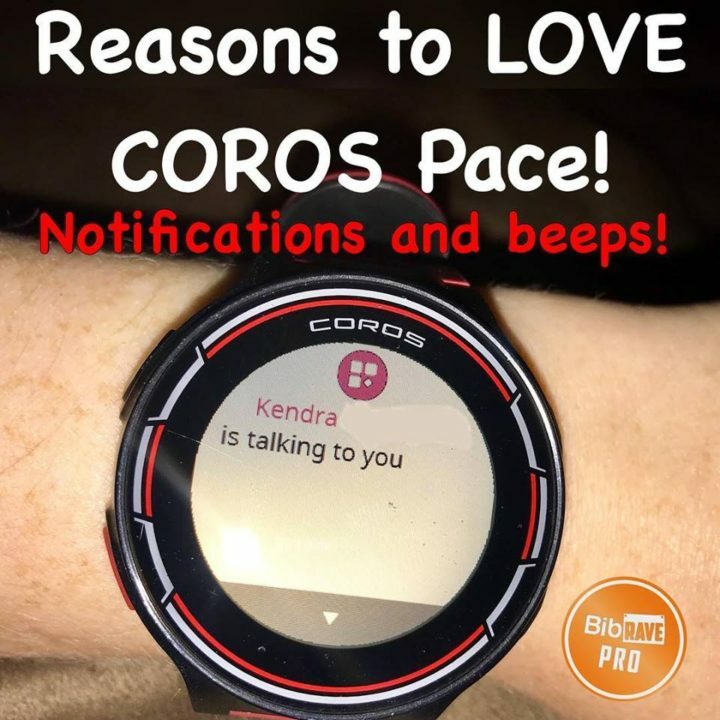 The COROS Pace Multisport Watch is a new-to-the-market GPS Running Watch with Multi-sport Activities and Built-In Heart Rate Sensor. 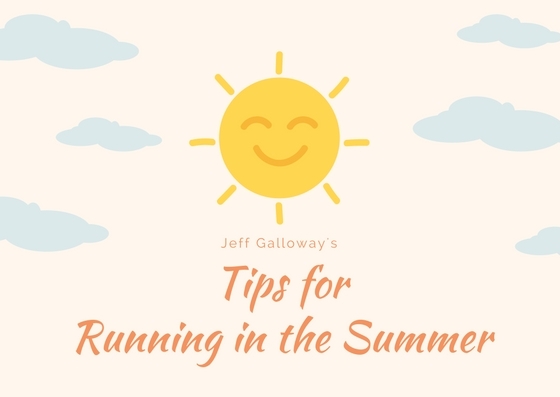 As I am getting ready to train for the Marine Corps Marathon this October, I was looking for a watch with enough oomph and battery life to help me train and race. The battery life is amazing! It lasts multiple weeks on standby mode and through multiple runs. I’ve only had to charge this watch twice since I got it back in April! If you are marathon training (or longer) this is a watch that will last! It charges to the max in about two hours, so there is no loss of running time! If you are looking for a multi sport watch that you can wear during your swim or triathlon, look no further! This watch is rated 5ATM/50 Meters (165 Feet). 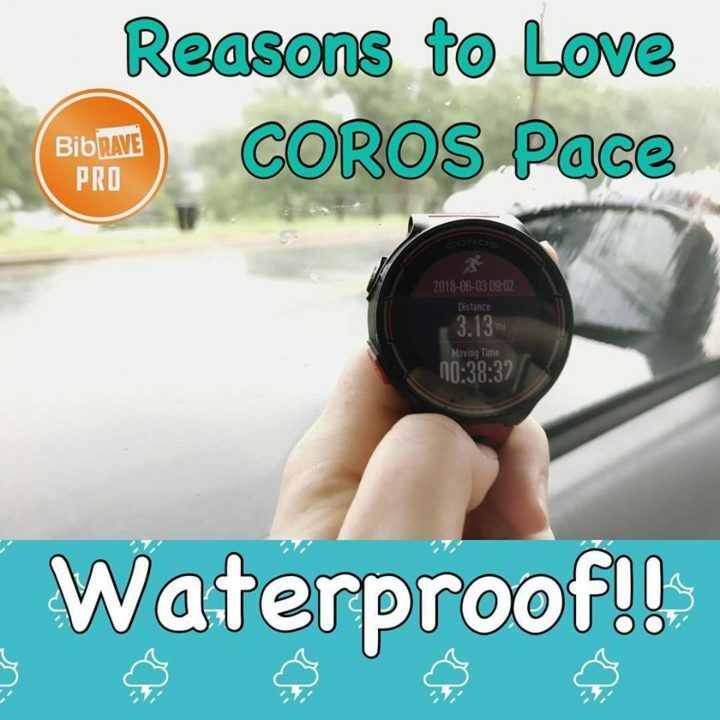 It is also great during your rainy runs. With full gps, you don’t need to carry your phone with you to track your runs. This was perfect for the monsoon race I ran this past weekend! You can get notifications from your phone – text, email, Facebook, phone calls, etc. You can pick and choose which ones you want pushes to your watch. I really like that the watch vibrates and beeps (and has a do not disturb mode for when you don’t want it to). You can also have the watch beep and vibrate for your laps, pace, etc while running. This will be a great feature when they add an interval option while you run. 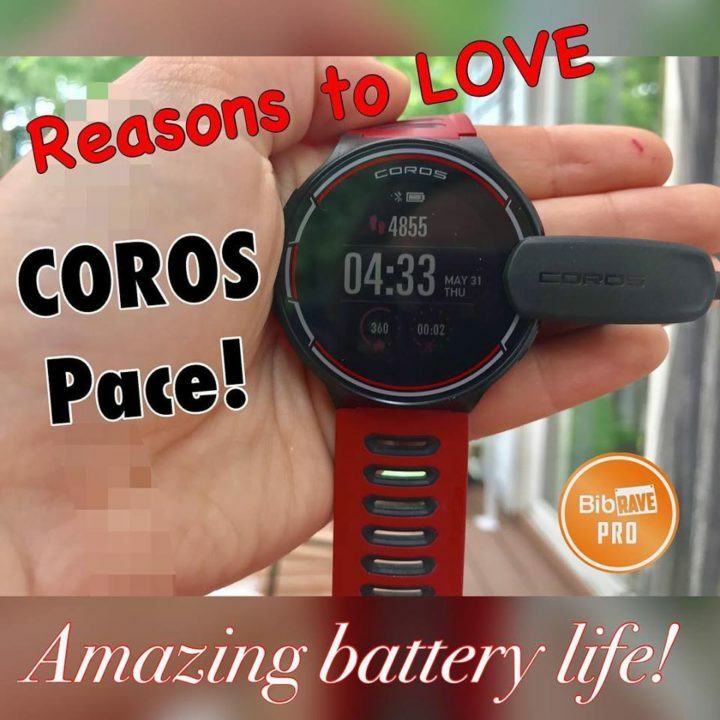 Because of battery life, I think the COROS Pace is a winner! I’m really looking forward to the upcoming updates this month that should make the watch more user-friendly and new features. One thing that I am looking forward to is the addition of intervals. I also look forward to using this watch while I swim this summer (if it ever decides to stop raining…)! Maybe one day I will participate in another triathlon! One Month Until New Jersey Marathon Weekend!